The best kind of bar is a rooftop bar. And because we are all things roofing at Surf Coast Roof Plumbing, we thought we’d help you plan your next pilgrimage to good cheer. 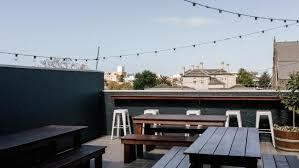 Below is a list of Geelong’s best rooftop bars. So why don’t you slip on a shirt, slop on some sunscreen and slap a pineapple on one of these local bars! Located in the beautiful suburb of Belmont, the Belmont Hotel offers good old fashioned pub grub with a friendly laid back service. The rooftop terrace is the place to be on a warm night, with views spanning across the Barwon River and Geelong city. Their is ample seating and plenty of umbrellas for shade on those sunny days. And, they even have a sandpit to keep the kids occupied while mum and dad relax! In the heart of Geelong’s cbd, you’ll find a rooftop bar at The National Hotel. 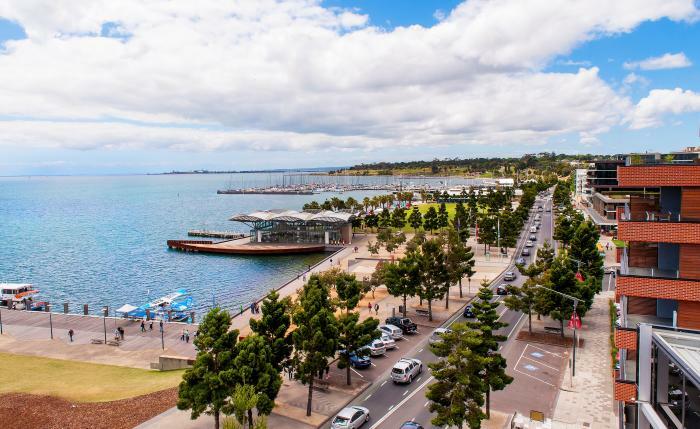 The roof top offers fantastic views across the Geelong cbd skyline and into Corio Bay. You can expect to find a modern Australian cuisine with a friendly and professional service. 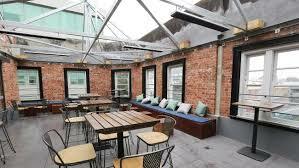 The National Hotel roof top also boasts a retractable roof so you can chase that good cheer in Geelong all year round! 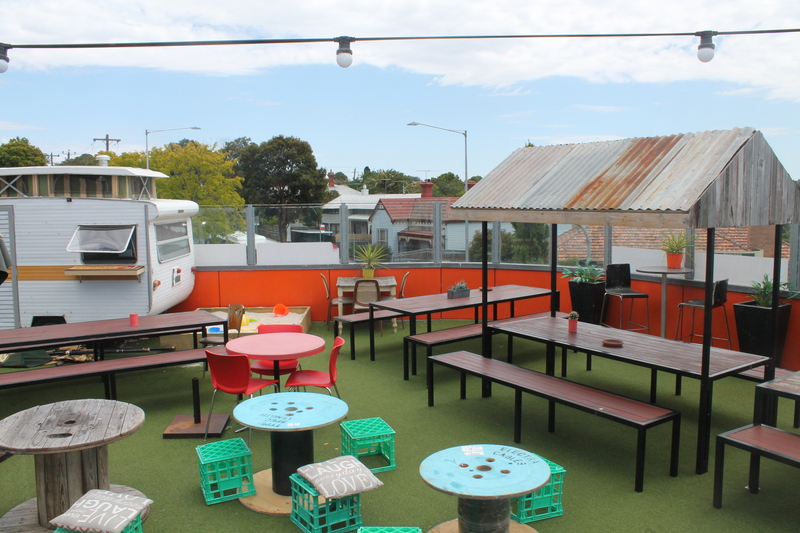 On trendy Pakington Street, you’ll find this gem of a rooftop bar at the Telegraph Hotel. It has expansive views all across Geelong and is the perfect location to soak up the sunshine while sipping on your favourite bevvy. Their is something for everyone on the modern Australian cuisine, and the craft beer selection is impressive to say the least. Eat, drink and play at another of Geelong’s rooftop bars, Recess. 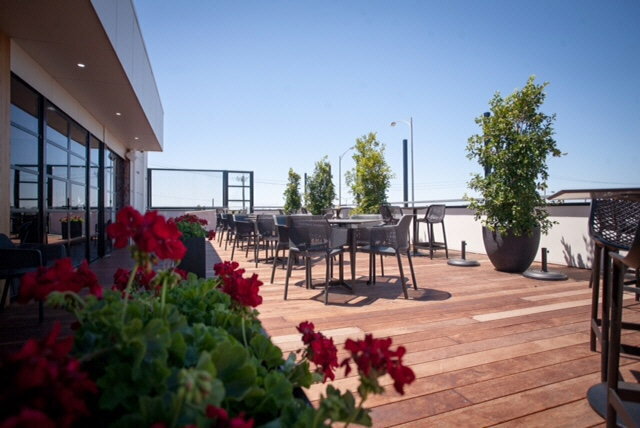 The stylish rooftop bar offers views of Geelong’s stunning skyline. You could find yourself dining on their delicious menu or enjoying one of their many beverage options. Recess is the perfect spot to relax, unwind and enjoy a break from your busy life. If there are any other rooftop bars in Geelong that we have missed from this list – please drop us a line and let us know. We love finding great new places to eat and drink! We provide a wide range of roofing services to Geelong and surrounds to protect your home or building from damage. So if you have a problem with your roof, call and ask a licensed Roof Plumber about it today! If you would like more information regarding our roof plumbing services, please don’t hesitate to contact us. We are always happy to discuss your individual needs and provide options to fix your roof leak, do roof repairs or roof restorations.